Union Bank, in partnership with the Los Angeles Unified School District Board of Education, celebrated the grand opening of the bank’s first Los Angeles student-run branch located on the Lincoln High School campus (pictured) on May 6. A second grand opening was held May 8 on the Crenshaw High School campus. Both branches are part of an innovative program designed to provide students with real-world financial education and work experience. 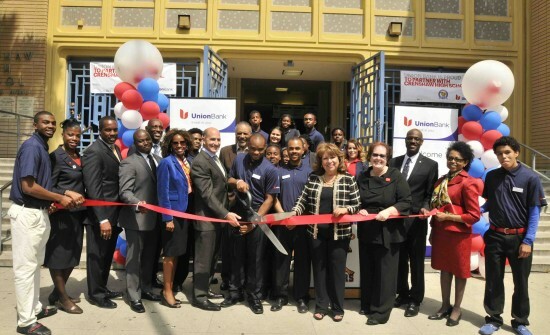 After a presentation by the student bankers, LAUSD Board of Education representatives and Union Bank executives, a ribbon-cutting was held outside the Lincoln High branch (above) and Crenshaw High branch (below). 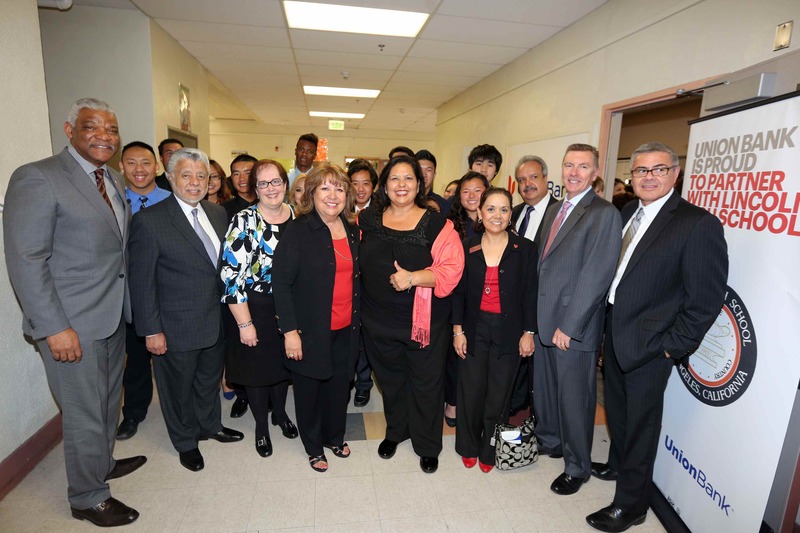 Among those present were LAUSD District 2 board member Mónica García and Instructional Area Superintendent Roberto Martinez; Lincoln High School Principal Jose Torres and instructor Marlo Clark; Union Bank Vice Chairman and Head of Retail Banking and Wealth Markets Tim Wennes, Executive Vice President and Regional President Leticia Aguilar, and Assistant Vice President and Lincoln High School Branch Manager Maria Bautista.